Michael’s currently preparing a collection of papers for a book on the History of Photography in South Africa as well as co-editing a collection of letters from Irma Stern to Richard and Frieda Feldman. He has curated three exhibitions on South African art, in association with Iziko SA National Gallery, notably Is there Still Life? Continuity and Change in South African Still Life Painting (2007); The Lie of the Land: Representations of the South African Landscape (2010), and Home Truths: Domestic Interiors in South African Collections (2016). 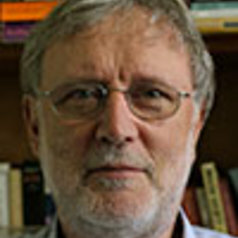 As Emeritus Professor of History of Art at the University of Cape Town with a BA from Trinity College, Dublin, a MA from the University of Birmingham and a PhD from the University of the Witwatersrand, he has published and lectured on early Renaissance art, English eighteenth-century art, particularly William Hogarth, nineteenth- and twentieth-century South African Art, and the history of South African photography.